Buskett is a Tree Protection Area, with some trees protected for their antiquity, a scheduled woodland, an Area of Ecological Importance, a Site of Scientific Importance, a Site of European Importance, a Special Area of Conservation, a Bird Protection Area, and above all an EU Natura 2000 site. The remains of an Ash Tree, after being handled by a Landscaper, in the Natura 2000 Buskett. Yet, to date Buskett has never been professionally managed, especially on the lines of EU obligations. Never. There is absolutely no will, no vision, and no professional commitment. To the extent that a past environment minister was made to believe that Buskett is a garden. There were plans to transform this important ecological habitat into a ‘quality garden’ on the lines eventually implemented at the Mdina Ditch. One would have thought that this was just a political flash in the pan by a gullible politician who was taken in by those with commercial interests. But to this day, professional environmental responsibilities still have not reached the level of Cabinet’s political acumen. The only type of management approved by the Authority for the Protection of the Environment is the chopping down of protected trees, such as this one in Buskett – A Natura 2000 site. As an EU member, Malta had to have management plans implemented for all Natura 2000 sites by six years after accession. This deadline was not met. Following public consultations, later approved by the government, and boasted about by the incumbent Minister for the Environment, management plans are not yet implemented, and it seems they will never be. A recent visit to Buskett revealed the complete political failure, lack of professionalism and irresponsibility with regards to the management of this important EU Natura 2000 site. Clearance of important natural habitat in a Natura 2000 site to restore of a rubble wall. An extensive area of maquis was recklessly bulldozed and obliterated to enable the restoration of a rubble wall. While the restoration of rubble walls is necessary, and those in hand are being professionally built, this can never justify the massacre of flora and fauna: habitat and species of European importance. The rich maquis habitat as it was before it was bulldozed with the blessing of the Ministry for the Environment. I wandered around Buskett and I could see piles of earth and stones dumped on sensitive habitats: habitats important for rare and endangered species, all listed in the data sheets sent to the EU to justify the importance of such a Special Area of Conservation of European Interest. A butchered Ash Tree where, a couple of weeks before, I was photographing its new seeds. Piles of stones and earth dumped on sensitive habitat in this EU Natura 2000 site. It is heartbreaking to see two protected and rare hawthorn trees that were chopped from ground level to make way for machinery, earth and stone dumping. A rare protected ash tree was heavily butchered. Unfortunately European Union funds are being mismanaged, endangering an important sensitive habitat which according to EU legislation, the Minister for the Environment is obliged to protect on behalf of Malta and the EU. According to the EU Habitats Directive (article 6.3), an appropriate assessment has to be drawn up for any plan or project not directly connected with, or necessary to the management of a Natura 2000 site, but which is likely to have a significant effect thereon, either individually or in combination with other plans or projects. Such an appropriate assessment is needed to highlight the implications for the site in view of its conservation objective. The national competent authority for the EU Habitats Directive (the Environment and Resource Authority – ERA) shall eventually endorse the plan or project only after having ascertained that the conclusions of such assessment regarding the implications for the SAC will not adversely affect the integrity of the SAC concerned. ERA is also obliged, if appropriate, to obtain the opinion of the general public. Can the minister publish the appropriate assessment made (naturally if it has been done), which enabled the ERA board to approve such works in this important Natura 2000 site? If not available, then ERA approved such works blindfolded, which is very irresponsible, or else the ministry is in complete darkness of its responsibility, and its personnel is on a wild unmonitored spree to obliterate a delicate natural habitat just to restore a rubble wall. Ironically, posters at Buskett advertise these works as an EU-funded Life Saving Project. It seems that following the acquiring of EU funds, the most important thing is to nail a poster acknowledging EU. How these funds are spent, and whether they are in line with the obligations of the EU Environment Acquis, is not important, not even to the Ministry. Considering the fact that the minister’s Environment and Resource Authority board is made up of the cream of the crop of Maltese academics, such officially approved ecological damage with EU funds is worse than one can image, both from a professional, an administrative and a political point of view. 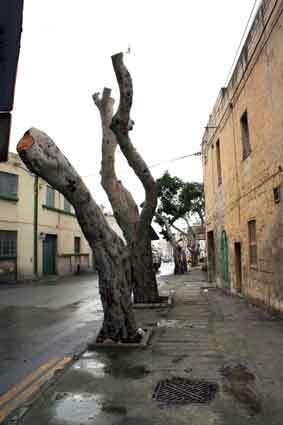 60 mature olive trees were chopped down by the approval and financing of the University of Malta, following populist demands. So if it can be done on the University campus, why not on public land? It reminds me of the massacre of 60 established olive trees on the university campus, where no one batted an eye. We now have to suffer this ecological destruction in a Special Area of Conservation of national and European importance. Seems that academic qualifications today at best are of secondary importance when one sits on a political board. Have we reached a stage where the destruction of the environment and the ecosystem has achieved virtual academic qualifications, approved not only by politicians but also by the top academic institution of this unfortunate country that seems to sit and tacitly approve? This is a glaring declaration of total failure of the ministry’s obligations with regards to the protection of the environment. It seems that the latest environment ministers, one from either side of the local political hegemony, are competing among themselves as to who is the most committed to the destruction of biodiversity. A visit to Buskett where this EU Natura 2000 site is being endangered by EU funds, shows not only how an environmental regulator did never exist in the past, but also how the present one is working diametrically opposite to what has been promised and contrary to national and international obligations. Not only is it not functioning, but it is officially involved in such ecological damage. Have we reached a stage where the destruction of the environment and the ecosystem has achieved virtual academic qualifications? The minister has gone on record as saying that he has a “sound environmental policy”. Buskett Natura 2000 site, shows the lack of a will to protect biodiversity, as promised, all the result of such a “sound environmental policy”. The result of the ‘sound environmental policy’ with which some are very proud. Seeing all the above official ecological damage, this is the best diplomacy I could manage. And I am sure there are many others who feel the way I do. 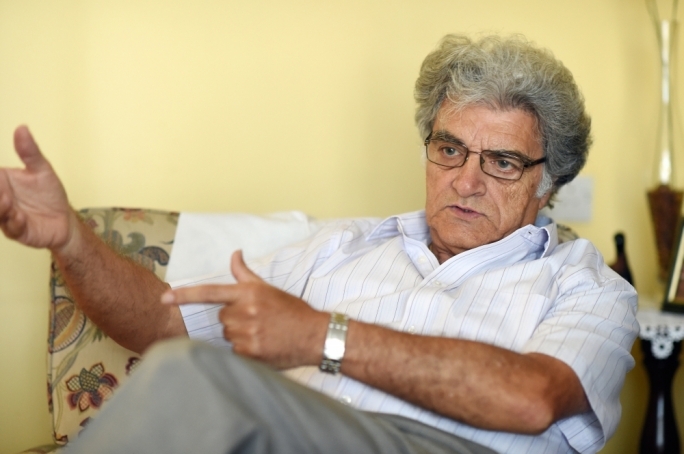 F’intervista ma’ il-mument, Alfred E. Baldacchino jitkellem dwar il-konflitti ta’ interess fix-xogħol biex sar il-masterplan għal Paceville, fuq min taqa’ r-responsabbiltà u x’għandha tkun it-triq ‘il quddiem hekk kif ħamest ijiem oħra jagħlaq il-periodu tal-konsultazzjoni pubblika li kellha tiġġedded minħabba l-protesti u l-ilmenti tar-residenti u sidien ta’ negozji. Kif għandu jsir masterplan għal Paceville? Paceville kiber mingħajr ebda pjan, għalhekk hemm bżonn wieħed illum qabel għada. Dan ma jfissirx li għandu jsir fuq xewqat dojoq kummerċjali mingħajr ħjiel ta’ risponsabbiltajiet soċjali, kummerċjali, saħħa fiżika u psikoloġika, ambjentali fis-sens wiesa’ kollha tal-kelma, kif ukoll għajxien ħieni u anki obbligi, kemm nazzjonali u internazzjonali, li l-pajjiż għandu. Waqt laqgħa ta’ konsultazzjoni pubblika tal-Kumitat Parlamentari għall-Ambjent, l-Awtorita’ għall-Ippjanar stiednet lill-konsulenti barranin li għamlu l-masterplan. Ma taħsibx li dawn kellhom jiltaqgħu mal-pubbliku qabel fassluh? Fi kliem il-konsulenti barranin stess, dawn għamlu dak li ġew mitluba jagħmlu u xejn iżjed. Qalu li ma ħadux inkonsiderazzjoni ebda studju jew risponsabbiltà tal-carrying capacity tal-pajjiż, tal-externalities, jiġifieri dawk il-piżijiet u l-prezzijiet ekonomiċi moħbija; u ma taw l-ebda kas tal-ħsibijet, suġġerimenti, xewqat tal-istakeholders, lanqas tar-residenti. F’kelma waħda dawn ma għamlu l-ebda konsiderazzjoni socioambjentali. Dan juri n-nuqqas ta’ responsabbilta’ u l-faqar tal-Awtorità tal-Ippjanar f’dan il-qasam, minkejja li hija mħallsa minn flus pubbliċi u mmexxija minn akkademiċi li suppost jifhmu u jafu li huma għandhom responsabbiltà lejn il-poplu Malti li qed iħallashom. Taħseb li l-politiku għandu jerfa responsabbilità wara li ħareġ li jista’ jkun hemm konflitt ta’ interess għall-kumpanija li ntagħżlet mill-Gvern? F’pajjiż demokratiku, il-politiċi magħżula mill-poplu jmexxu f’isem il-poplu li fdalhom ir-responsabbiltà. Dawn għandhom jagħmluh b’diskuzzjonijiet wiesgħa biex il-poplu kollu jħossu li huwa parti mid-deċiżjonijiet li jittieħdu. Hekk dawn ikunu magħġuna biex ikunu ta’ ġid ekonomiku, soċjali u ambjentali, għall-ġid ta’ kulħadd. Għandhom jaraw ukoll li dawk li jmexxu entitajiet uffiċjali f’isem il-poplu, jimxu fuq dan il-prinċipju. Għalhekk, il-politiku li fi ħdan il-portfolio tiegħu taqa’ l-entità li tieħu dawn id-deċiżjonijiet, huwa l-bniedem responsabbli politikament. Barra minn hekk, jekk dan il-politikant ma jerfax ir-responsabbiltà tiegħu, allura l-Kabinett huwa kollettivament responsabbli. Allura x’kellu jkun l-irwol tal-Awtorità għall-Ippjanar fit-tħejjija għall-masterplan ta’ Paceville? Il-viżjoni tal-Awtorità tal-Ippjanar Maltija, imneżża minn kull viżjoni ambjentali u soċjali. L-Awtorità tal-Ippjanar hija magħmula minn nies akkademiċi u b’esperjenza f’dan il-qasam, imħallsa minn flus pubbliċi, bir-responsabbiltà individwalment u kollettivament, li jaraw li deċiżjonijiet li jittieħu minnhom ikunu fl-interess nazzjonali, jiġifieri, fl-interess kollettiv wiesa’ soċjali, ekonomiku u ambjentali. L-Awtorità għandha l-obbligu li tisma’, u tagħmilha ħafif u xejn diffiċli biex dawk l-istakeholders kollha li għandhom xi interess fuq is-suġġett, ikunu jistgħu jwasslu s-suġġerimenti u l-kummenti tagħhom, il-biżgħat u l-ħsibijiet tagħhom biex minn imexxi jkun jista’ jieħu deċiżjoni fl-interess ta’ poplu. Milli wieħed jista’ jara, l-Awtorità tal-Ippjanar aktar ixxaqleb lejn idejat kummerċjali milli għandha xi interess minimu dwar l-ambjent jew li tagħti xi widen lill-leħen tal-poplu. X’taħseb dwar il-high rise buildings f’dan il-masterplan? Dan il-viżjoni tal-high rise buildings saret qisha ossessjoni, bħal ta’ dak it-tifel li ma joqgħodx kwiet sakemm bis-sewwa jew bid-dnewwa jaħtaf dak li jrid. Il-ftit studju li sar juri li dawn ma humiex adattati għal Malta mill-aspett soċjoekonomiku. Ma nafux x’effett sejrin ikollhom fuq il-carrying capacity tal-pajjiż, fuq is-saħħa fiżika u psikoloġika tal-poplu u fuq il-kummerċ taż-żgħir, fuq ir-riżorsi naturali tal-pajjiż, u anki fuq il-biodiversità. Dan it-tip ta’ żvilupp, dejjem bl-għerf tal-Awtorità tal-Ippjanar fit-tmun, inħoss li aktar huwa bħal xi ħadd li jrid jimla’ vażett li jesa’ litru b’għaxar litri. Il-ħela ta’ riżorsi wkoll iddgħajjef l-istruttura ekonomika, soċjali u ambjentali li diġà teżisti. Minn dik il-laqgħa l-pubbliku qajjem diversi kwistjonijiet u rabja wkoll. X’tikkumenta? Veru li matul il-laqgħa tal-Kumitat Parlamentari msemmija kien hemm rabja li wasslet ukoll għall-ibbujjar. Din l-imġieba jien ma naqbelx magħha. Imma mill-banda l-oħra meta wħud iħossuhom marsusa f’rokna, imżebilha, iffrustati, ikkalpestati, inġurjati, u jaraw ħwejjiġhom li jistgħu jittieħdu għar-rejba tal-ftit, f’rapport uffiċjali li sewa €300,000, din hija r-reazzjoni li wieħed jistenna’ b’mod naturali. Aktar u aktar meta dan ir-rapport huwa mħallas minn flus pubbliċi li anki l-istakeholders mingħajr ma kienu jafu minn qabel, ħallsu għalih mingħajr ma kellhom l-iċken kontribut. X’tikkumenta dwar kif wieġbu l-konsulenti barranin għall-mistoqsijiet tal-pubbliku? Wieħed seta’ jara li l-konsulenti barranin kienu imbarazzati sewwa. Tant hu hekk, li meta kienu ssikkati bil-mistoqsijiet, qalu li huma għamlu dikjarazzjoni verbali lill-Awtorità tal-Ippjanar li kien hemm studji li l-kumpanija tagħhom għamlet għal xi żviluppatur li x-xewqat tiegħu dehru fil-masterplan. Qalu wkoll b’mod ċar li kull masterplan ma jistax jirnexxi jekk ma jkunx hemm studji dwar l-externalities. Komplew żiedu li huma għamlu dak li ġew mitluba biss. Ma għamlu l-ebda studji li juru l-externalities tal-masterplan. Lanqas ma ngħatalhom xi rapport jew ħjiel tal-biżgħat tal-istakeholdres. Dawn iwasslu biex ir-rapport xejn ma jidher profesjonali. L-istess bħal dak taż-Żonqor f’Marsaskala. Ħadmu fuq tagħrif mogħoddi lilhom mill-klient, l-Awtorità tal-Ippjanar, u tawh ftit kulur, dehra sabiħa u firma. Fir-rigward tal-qasam kummerċjali goff, ma hemm xejn nieqes: perfett. Ma nstema’ l-ebda kumment kontra dan il-masterplan minn dan is-settur. Minn naħa tal-istakeholders (mhux qed ninkludi lil ERA bħala stakeholder) mhux talli ma kienx hemm nuqqasijiet, talli ma kien hemm xejn li jitkellem fuq l-impatti negattivi ekonomiċi, soċjali u ambjentali: kemm fuq ġewwa tal-masterplan, kemm tal-madwar, kif ukoll tal-pajjiż kollu. Bil-PA fit-tmun ma niskanta xejn. Anżi nistennihom. L-ERA għada ma tidherx u bla vuċi. U qed jingħad li ma tistax tappella għax l-ERA qiegħda fuq il-board tal-Awtorità tal-Ippjanar! Li kieku kelli niddeskrivi dan il-masterplan, kont ngħidlu Masterplan orkestrat mill-qiegħ. Taħseb li l-ħsibijiet ta’ kulħadd jistgħu jkunu inkorporati fil-masterplan bla ma jkun hemm kunflitti bejn parti jew oħra? Kif qalu l-konsulenti barranin, l-ebda masterplan ma jista’ jirnexxi mingħajr studji dwar l-externalities tiegħu. U kif qalu wkoll, ma kien hemm l-ebda talba minn għand il-klient tagħhom, il-Planning Authority, li suppost tippreżenta l-interessi tal-poplu, biex huma jagħmlu dan. Jekk il-mastserplan, bħal kull deċiżjoni oħra, ma jkollux, ma jiħux u ma jkunx irid jieħu l-kummenti ta’ kull stakeholder, din tkun deċiżjoni imposta fuq kulħadd. Mingħajr dubju, il-kummenti, is-suġġerimenti u l-ħsibijiet tal-istakeholders jwassalu biex ikollhom sehem fid-deċiżjoni biex ikunu jistgħu jgħidu li huma parti mid-deċiżjoni li tkun fl-interess ta’ kulħadd. Dan ma tantx jidher li huwa l-interess tal-Planning Authority. Il-Gvern qed jisħaq li qed joffri lill-pubbliku politika dwar l-ambjent b’saħħitha. Taqbel? Dan smajtu. U anki qrajtu. Imma ma nista’ naraħ imkien, la fid-deċiżjonijet u lanqas fi proġetti. Meta niftakar fiż-Żonqor f’Marsascala; fi pjani mressqa mill-MEPA li dgħajfu jew ħattew kull pjan li kien hemm u li fuqu setgħet kompliet tinbena l-politika ambjentali; fil-landscaping imsejjes fuq siġar eżotiċi importati bi dħul ta’ mard u speċi invażivi, ma nistax ma ngħidx li din hija aktar politika ta’ konvenjenża milli politika ta’ konvinżjoni. Meta nqis li ħafna minn dawn l-attivitajiet huma mħallsa minn flus pubblici u bi ftehimiet sigrieti, ma nafx kif xi ħadd serju jista’ jsejjah din bħala politika ambjentali b’saħħitha. Aktar naraha bħala waħda msewwsa b’deċiżjonijiet ta’ viżjoni kummerċjali mgħammda bil-barka uffiċjali. X’għandha tkun il-politika dwar l-ambjent għall-pajjiżna? Politika ambjentali b’saħħitha hija msejjsa fuq qafas li jiġbor fih id-direttivi, ir-regolamenti, u d-deċiżjonijiet kollha tal-Unjoni Ewropa. Qatt ma jista’ jkun hemm politika ambjentali li tinjora dan il-qafas. Lanqas ma jista’ jkun hemm politika ambjentali b’saħħitha fejn l-Awtorità tal-Ambjent tkun maħkuma mill-Awtorità tal-Ippjanar, u fejn anki tlaqqa’ l-poplu għall-konsultazzjoni meta d-deċiżjoni tkun diġà meħuda, u xi kultant il-bidu tal-iżvilupp ikun diġà beda. Dawn iż-żewġ awtoritajiet għandhom ikunu awtonomi u jaħdmu f’isem il-poplu u l-ġenerazzjonijiet futuri mingħajr ebda indħil. Qatt ma jista’ jkun hemm politika ambjentali b’saħħitha fejn dawn l-awtoritajiet aktar ikunu lesti biex jogħġbu lill-politikant milli biex jaqdu dmirhom lejn il-poplu u l-pajjiż. The colourful bee-eater bird is gracing the Island in increasingly larger numbers, but despite its name It is not the main cause of a recent decline in the honey bee population. The biggest klllers of honey bees are in fact pesticides and insecticides, sprayed in the open, according to environmentallst Alfred Baldacctilno. These substances, he said, were not only terminating bees but studies had shown that the affected bees were passing on the chemicals to the honey when they flew back to their beehives. Mr Baldacchino was speaking to this newspaper followlng complalnts from some beekeepers that this species of bird was increasingly feeding off their bees. The bee-eater has recently started extending its stay in Malta because although It has always been a protected species, it used to be one of the most sought after. Followlng harsher enforcement and greater awareness, it is no longer hunted, Mr Baldacchlno said. But he defended the bee-eater, saying it did not just feed on bees but also ate other insects, including the oriental hornet, which recently drew fears in urban areas. And as part of the natural ecological cycle, it actually ate old or weak bees, freeing the colony of this burden. This was reiterated by ornithologist Natalino Fenech, who said that according to Libyan studies, bee-eaters rendered a service to bees by catching the sick and elderly ones. The study also showed that bee-eaters went instrumental in limiting the spread of some insect pests as well as reducing the spread of different types of wasps and beewolf. Mr Fenech acknowledged there had been an increase in the number of bee-eaters spotted in Malta because they were no longer shot at and because populations in Sicily had grown. He explained that the bee-eater fed on all flying insects – from bees to moths, beetles, butterflies, dragonflies and wasps. Photos taken by wildlife photographer Shuki Chefed this summer in Israel even shows a bee-eater trying to swallow a bat. Still, it was not the only bird that ate bees – sparrows, starlings, several warblers as well as II-Merill, or blue rock thrush, did so too at certain times of the year. 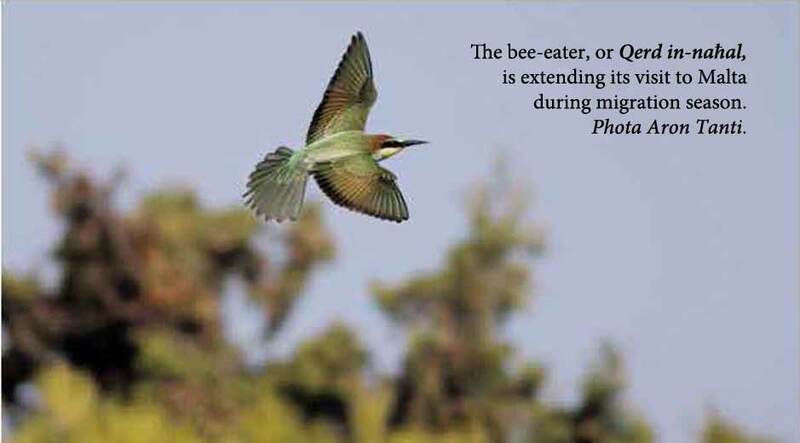 Keepers who are worried about the bee-eaters feeding on some of their bees should avoid queening during peak migrations, from late March till mid-April, and in mid-September, he advised. They should also avoid putting beehive boxes close to or under trees or overhead cables as bee-eaters like to pounce on flying insects from these perches. Mr Baldacchino’s concern about pesticides was echoed by Michael Muscat, one of the 200 registered bee-keepers in Malta. According to studies carried out abroad, pesticide and insecticide are the primary culprits of what is known as the colony collapse disorder, which is when the majority of worker bees in a colony abandon the hive because they get disorientated, leaving behind the brood (bee larvae) and stores. Studies have also shown that neonicotinoids, a class of insecticide, significantly harms the colonies and is the major contributing factor to CCD. 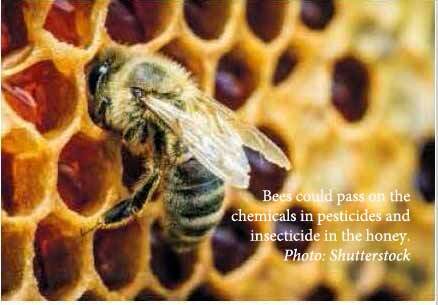 There are other culprits apart from pesticides, although their contribution to bee decline is smaller. The varroa destructor is a parasite mite that attacks honey bees. In 1992, its importation destroyed some three quarters of the colonies in Malta and Gozo. The bee-keepers have recovered since then. Another culprit is the hornet, whose population recently exploded in some areas, Mr Muscat said. One particular colony in the Ta’ Xbiex was so severely depleted of foraging bees, because of the hornets, that the colony collapsed. As for the bee-eater, Mr Muscat said he could not trace the decline of the bee population in some of his apiaries to the bird but he knew of other keepers who have been hit. “Today’s pollinator crisis, which has also hit Europe and now parts of Asia, is unprecedented. But honeybees have done disappearing acts on and off for more than a century. posslbly since humans began domesticating them 4,500 years ago In Egypt. The fact that “pesticides were not the cause previously” does not meant that they cannot be an Important cause now. The data about the effects of neonicotinoids is pretty clear, clear enough to warrant a strong campaign against their use. This habit of looking for “the [one] reason” for any natural phenomenon has become a fool’s quest, much used by those interested mainly is avoiding any blame. We now know that effects on anlmal and plant communities are seldom single-cause alfalrs. If “pesticides were not the cause previously”, how would one account for the levels of glyphosate levels found in urine of subjects from aromd the EU? My level, from the-pesticide-free pastures of H’Attard, was the second highest found In EU wide samples. Not necessarily. If it subsists mainly on the older, weaker specimens, it could be helping the younger, healthier bees to thrive on more plentiful food sources. These are challenging – if a little depressing – times to be at the forefront of environmental issues in Malta. Yesterday’s protest in Valletta may have been sparked by a single planning decision – to sacrifice 150,000 square metres of arable, ODZ land for the construction of a university campus – but lurking in the background were growing concerns that the country is slowly but surely dismantling its environment protection infrastructure. Evidence for this was provided by none other than the CEO of the Malta Environment and Planning Authority (MEPA) at a parliamentary committee meeting last Monday: when he candidly admitted that the report authorising the selection of Zonqor Point for this project did not include any input from the environment Protection Directorate (EPD). Alfred E. Baldacchino was present for that meeting, as he has been present for practically every environmental challenge to face Malta in recent years. I meet the former EPD assistant director at his Attard residence, and find him still re-living the arguments of Monday’s animated meeting. Before turning to his complaints about the site-selection process, let’s talk a little about the site itself. Zonqor Point. Protestors were indignant to hear the place referred to by defenders of the project as a ‘wasteland’ and ‘dumpsite’. What is the significance of this area for people like Baldacchino? This “greed”, he adds, has completely eliminated all social and environmental considerations from a decision which was taken almost as an obsession to develop this area. Żonqor Point which spurred civil society to make an environmental and social point in the national interest. Elba is a Mediterranean island slightly smaller than Malta. The population of the latter is 14 times that of Elba, which is only 30,000. We found ourselves in Elba at the invitation of two great Italian naturalist friends of ours: Francesco and Franca, the latter the director of the Arcipelago Toscano National Park which includes the seven main islands namely Elba, Isola del Giglio, Capraia, Montecristo, Pianosa, Giannutri, Gorgona, and some of the minor islands and rock outcrops. Every possible time, we roamed the national park, admiring the biodivesity, the organisation and the efforts being made to ensure its protection. Along the winding paths of the park, despite not yet being the peak touristic season, we met a number of tourists from Germany, United Kingdom, USA, France, Russia, and mainland Italy, walking or cycling, all admiring the biodiveristy, history and the scenary of the archipelago. The wild flowers adorned the landscape; contrary to those in Malta which succumb to the officially approved and financed spraying with herbicides. Elba is so green with vegetation. The bright yellow flowers of the Spanish broom were so beautiful against such a green background. The last wild specimen of Spanish broom which I can recall in the Maltese Islands in the vicinity of Girgenti, was burnt down to make way for a single vine. The wild flora on Elba is so familiar to ours: mallow bindweed, poppies, mullein, rock rose, mallow, myrtle, lentisk, buckthorn, evergreen oak, and others. The winding paths were dotted and adorned with the indigenous mallow bindweed: so beautiful. In Elba, wild indigenous flowers are not sprayed by herbicides as happens in Malta, paid from public funds made available by the central and local governments. The Aleppo Pine in all its splendour, as never seen in Malta due to the officially approved endemic ‘pruning’. All around the trees looked so different from those growing at home. So green, so naturally shaped, so healthy, so beautiful, so beholding. These trees attract birds and their droppings but are not problematic to the residence; not a hindrance to the many restaurant tables laid out beneath them; no problem to the adjacent buildings with their roots; in no way obscuring views of the horizon or the village fireworks, or obscuring the vision of the papier mache statue of the patron saint during the village festa. These trees are professionally managed and not regarded as lamp posts, not butchered nor mutilated or decapitated or uprooted by public funds to politically accomodate somebody, despite political promises. I had to constantly pinch myself into reality to remind myself that I was not in Malta where such mismanagement of indigenous flora and decorative trees is approved by the Minister responsible for landscaping, or the Parliamentary Secretary responsible for local councils, all with the help or lack of action by the now notorious seemingly politically hijacked environmental watchdog, Mepa. All around we could hear birds singing: goldfinches, greenfinches, siskins, and chaffinches. My first reaction was to search for the cages to see the birds. Again I forgot I wasn’t in Malta. The birds were in the trees above us, in the bushes in front of us or flying around us. All were busy with their nests. During our walks we could also see and hear collared doves and turtle doves cooing, busy with their nests too. I held my breath hoping that no shotgun would blast the turtle doves during such a difficult and delicate time. Why did I have to constantly pull myself back to earth and adjust the imprinting from back home? A cultural shock perhaps! There was no politician trying to find loopholes to see how these could be shot or trapped! In Pomonte, a remote silent small picturesque village, in the small square opposite the village church, we stopped for a breather. In two small adjacent restaurants, the rafters of the roofed terraces, offered adequate habitat for three pairs of swallows which were busy brooding the eggs in their nest – two naturally built nests and an artificial one placed specifically to attract them. We were only a maximum of three meters away from the nests, but the parent swallows were not concerned at all. They carried on with their procreative business. In 1981 two pairs of house martin did build a nest under a stone balcony in the square opposite the Rotunda in Mosta. And they were the talk of the town. Neither the continuous traffic nor other activities in the square bothered them; except for the ground fireworks and petards of the village festa. The two pairs with their young abandoned the nests! But who would dare think that measures could have been taken to ensure that the village festa would not disrupt two nesting pair of birds. Certainly not in Malta. The determination and will for communication, education and public awareness, so conspicuous by it absence in Malta. Can Malta ever rise to its environmental obligations, both national and international? Can the majority of the local politicians one day feel that it is their duty and responsibility to educate the people to appreciate, protect and be proud of what not only belong to all of us, but also to what we have been entrusted to protect? Can the majoirty of politicians one day realise the damage that they are doing, not only to the local society and environment, but also internationally, when they politically use such a natural heritage in exchange for political power? It has locally been said that together everything is possible. Is there a political consensus and a will to ensure that together we can achieve such positive energy with which we can make a difference? Herring gull and chick. Can you image being so close to a bird in Malta that you have to take a step backward to be able to focus the camera. Sometimes I feel that all this is wishful thinking, becasue unfortunately, the present political movement in government, is so blinded by a pro-business vision, without any concern for anything or anyone except speculators and investors, seemingly in the footsteps of a capitalist system. Not only so, but it may take a generation or two to correct the damage and mistakes being committed – if ever, that is. In the meantime, the Maltese society and the environment will have to pay the unsurmountable price. Harvard philosopher Michael Sandel, author of the new best seller, “What Money Can’t Buy: The Moral Limits of Markets,” has for more than three decades been teaching why capitalism is undermining human morality … and why we keep denying this insanity. Why do we bargain away our moral soul? Is Malta fast heading in this direction? And this is why I cherish my pen. Among the many exchanges of jokes and comments over the net, I received one such ‘joke’ from a friend of mine. Seems that Maltese environmentalists and their blogging have also managed to reach the Patron Saint of biodiversity, St. Francis. I thought it would be useful if I shared this with readers of my blog, always thanks to my friend Victor. And it was a bit too much of a temptation not to include some more details for the information of our Patron Saint. GOD to ST. FRANCIS: Frank, … You know all about gardens and nature. What in the world is going on down there on the planet? What happened to the dandelions, violets, milkweeds and stuff I started eons ago? I had a perfect no-maintenance garden plan. Those plants grow in any type of soil, withstand drought and multiply with abandon. The nectar from the long-lasting blossoms attracts butterflies, honey bees and flocks of songbirds. I expected to see a vast garden of colours by now. But, all I see are these green rectangles. St. FRANCIS: It’s the tribes that settled there, Lord. The Suburbanites. They started calling your flowers ‘weeds’ and went to great lengths to kill them and replace them with grass. GOD: Grass? But, it’s so boring. It’s not colourful. It doesn’t attract butterflies, birds and bees; only grubs and sod worms. It’s sensitive to temperatures. Do these Suburbanites really want all that grass growing there? St. FRANCIS: Apparently not, Lord. As soon as it grows a little, they cut it, sometimes twice a week. GOD: Now, let me get this straight. They fertilize grass so it will grow. And, when it does grow, they cut it off and pay to throw it away? St. FRANCIS: You aren’t going to believe this, Lord. When the grass stops growing so fast, they drag out hoses and pay more money to water it, so they can continue to mow it and pay to get rid of it. GOD: What nonsense. At least they kept some of the trees. That was a sheer stroke of genius, if I do say so myself. The trees grow leaves in the spring to provide beauty and shade in the summer. In the autumn, they fall to the ground and form a natural blanket to keep moisture in the soil and protect the trees and bushes. It’s a natural cycle of life. St. FRANCIS: You better sit down, Lord. The Suburbanites have drawn a new circle. As soon as the leaves fall, they rake them into great piles and pay to have them hauled away. GOD: No!? What do they do to protect the shrub and tree roots in the winter to keep the soil moist and loose? GOD: Enough! I don’t want to think about this anymore. St. Catherine, you’re in charge of the arts. What movie have you scheduled for us tonight? St. CATHERINE: ‘Dumb and Dumber’, Lord. It’s a story about… ………………….. .
For the attention of St. Francis for his next meeting with the Lord. 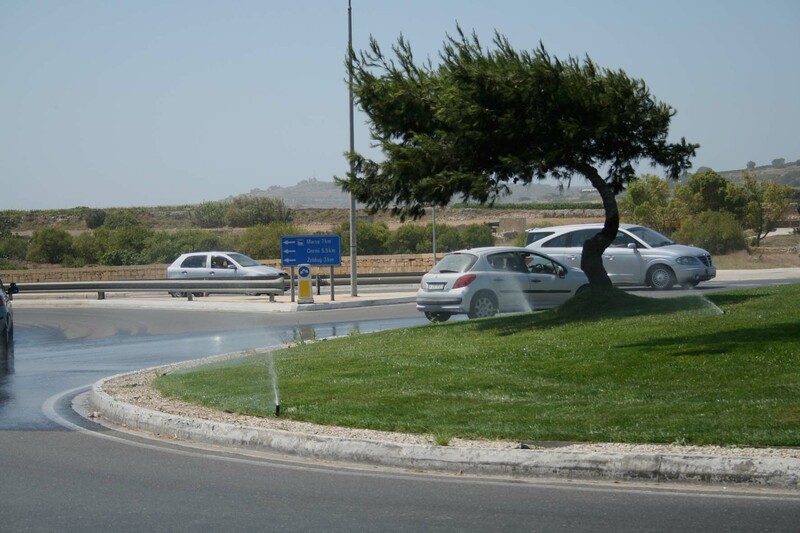 In Malta, a barren rock in the middle of the Mediterranean, a member of the European Union, the elected representatives of the natives, have set up a Public Private Partnership (PPP) responsible for landscaping in the Malta, with a motto Making Malta and Gozo Greener. This has been done through a contract between the Minister of Finance representing the natives and five eminent businessmen. 8 million euros are made available per year, for seven years, to undertake, amongst others, all that you have listed above. There are no limits to the destruction and elimination of wild flora and trees, to green the island. No further details are available because this contract, despite being made on behalf of the natives, is kept secret and guarded under lock and key. Whether this secrecy is kept because it embarrasses the signatories, or because there are other obligations which are not in the interest of the natives, one cannot say as yet. Although the Lord can see their work wonders from up there, the attached photo would not do any harm as evidence and to confirm what you said. If only I could send you their publications to see the rectangles, squares and circles of green! Furthermore, if you can perhaps speak to the Lord to illuminate the intelligence of the leaders of this Country to help them appreciate the wonders of His creation, and the better use of resources be they natural or financial, it would be of great help. PS. I thought you would also be interested to know that besides regarding wild flora as weeds, they do not appreciate your ‘stroke of genius’ in creating trees either. Look at the way they manage them. They say that trees attract birds (the few that are not shot that is), and the birds dirty the benches beneath. Trees shed their leaves and these dirty the pavements. Trees also damage the pavements and houses, they say. Lately I have heard that the swaying of leaves outsides schools distract the students inside. And most of the trees finish as logs and mulch, as you said. Please ask the Lord to illuminate them with urgency. My impression is that they all believe in Him, or so they say. You are currently browsing the archives for the Malta category.